We have been really busy the last 6 to 8 months with Home inspection reports. The home market sales have jumped up tremendously in that time frame. 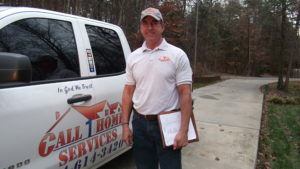 We are getting 8 to 15 home inspection reports calls per week. As much as we would love to help everyone, its sometimes impossible. A good home repair contractor is in high demand at the moment and I will add that they are hard to find (Good ones that is). It takes a lot of years and exposure to home repairs and remodeling to become a competent contractor. Most contractors are specialized in 1 or 2 fields and that’s it. We on the other hand have to know a lot about a lot. We are not trying to sound Superior to any other trades people out there but that’s just the truth. And even for our company to be able to find those types of guys is extremely hard. Home inspection reports cover everything that can go wrong with a house. Interior, exterior, Plumbing, electrical, carpentry, and just all around handyman stuff. If you have ever bought or sold a home more than likely you have been thru a home inspection report. At times they can be pages upon pages of items that are not functioning as they were originally intended. And therefore need repair or replacement. Our industry should be one of the highest paid tradesman out there. Again, I am referring to good quality contractors that have been put to the test over and over again. It honestly takes that to become experienced at the problems and situations you will be put in where you have to understand the product you are looking at and how to address a problem you are seeing with it. To the good contractors out there (And you know who you are), You should be charging anywhere between $100 per hr and $125. If you are not, then you are cheapening what you bring to the table and the value you offer. Yes, You are worth every dime and do not let someone tell you any different. If they want to phone around to all the different tradesmen that it will take to resolve all the repairs on that home inspection reports, Well,, let them and lets see where that gets them. It will be one headache after another trying to schedule all the these guys and only hoping that they will show up and be able to do the work. I’ve seen it over and over again. Contractor nightmares !! 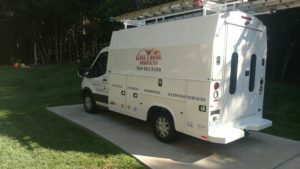 We come prepared for your Home inspection reports ! Give us the opportunity to serve you and we will not disappoint.